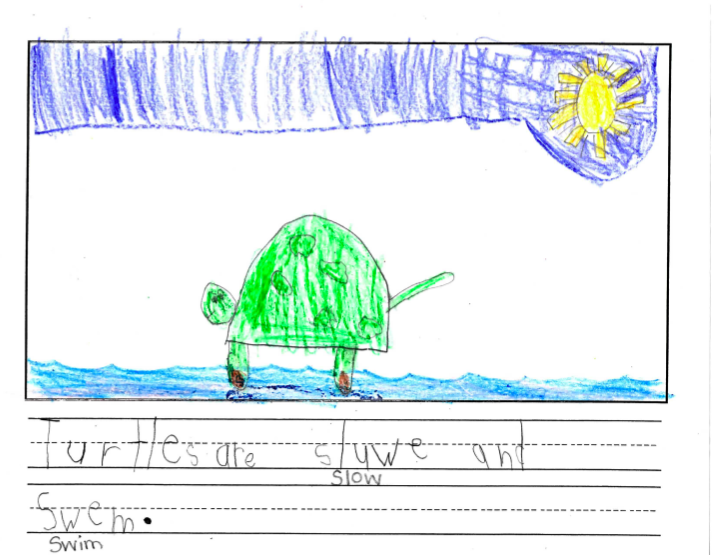 We started off our turtle unit by reading the poem The Little Turtle and meeting a real live turtle. 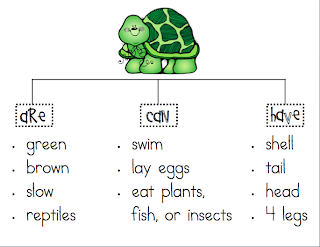 Then we read a few nonfiction books about turtles and made a Turtle Tree Map of our new learning. 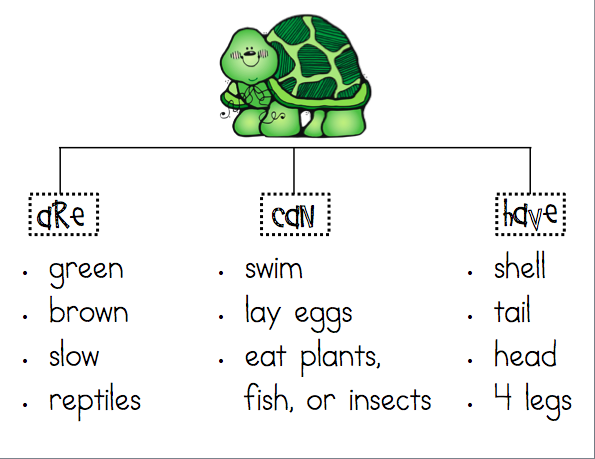 I printed and enlarged a blank version of this chart and had the children help me fill in the details. 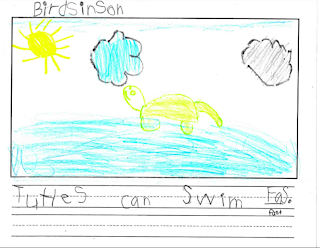 Then we started our nonfiction writing. 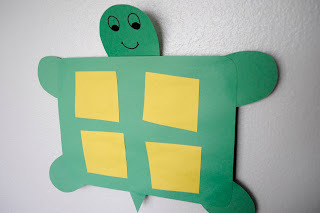 Here's my template for the pages included in this book: Turtle Writing Templates. 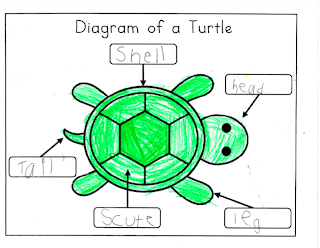 First, the children copied the Turtle Tree Map onto their own chart. 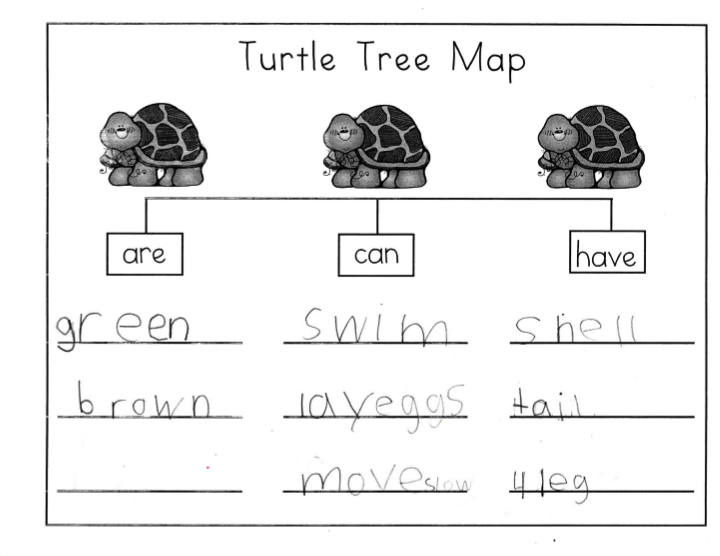 We used this map to plan our writing and build sentences. 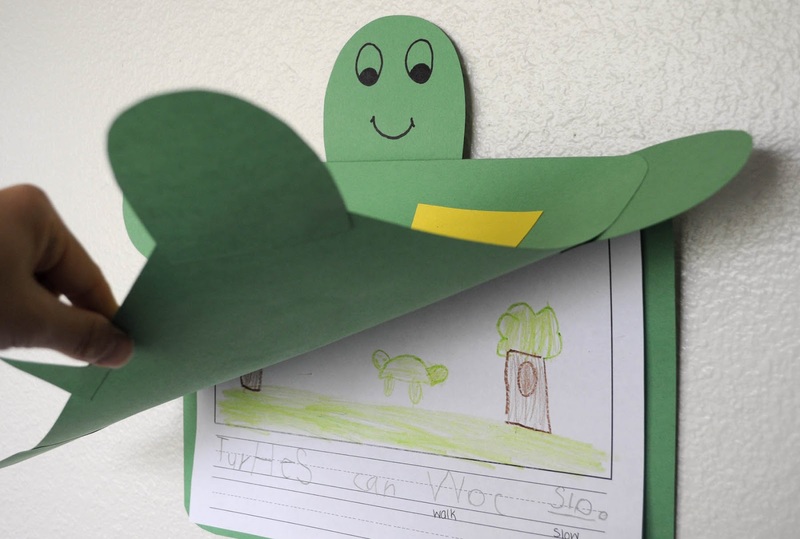 Then the children started writing their books. 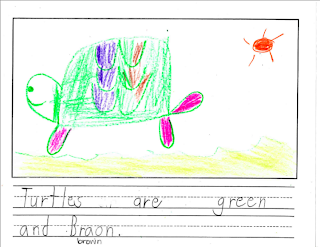 They completed about one page each day. 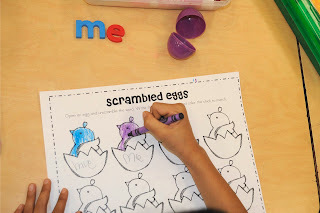 As they worked, I conferred with them to help them edit and revise their writing. 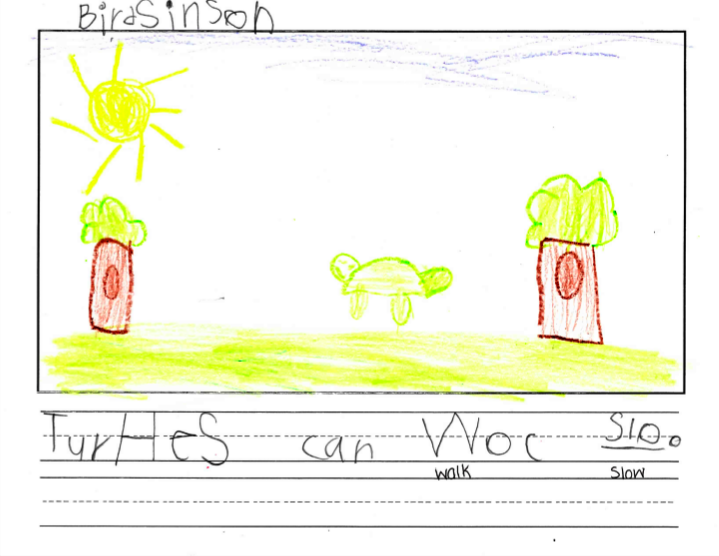 They each wrote three to four pages for their books. 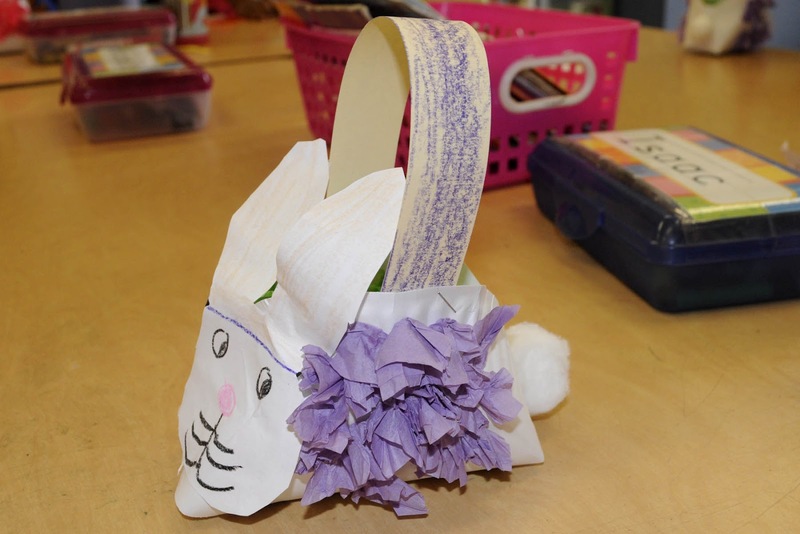 Most of these samples are from ELL and Junior Kindergarten students. I'm so proud of them for how far they've come! 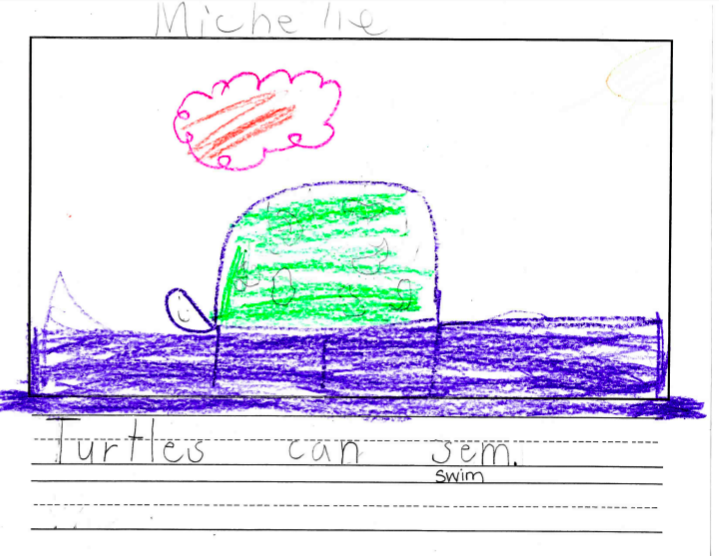 This is from one of my Junior Kindergarten students. 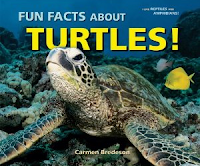 She knew more than I did about turtles! 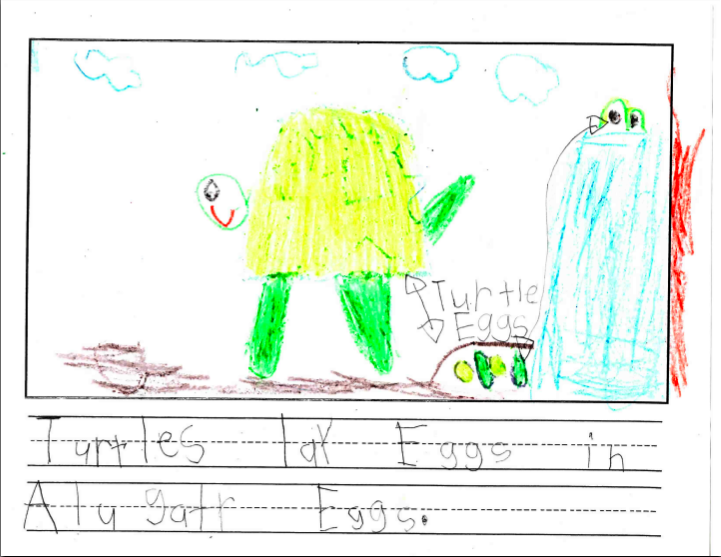 When she told me about how turtles lay eggs with alligator eggs, I had to look it up. 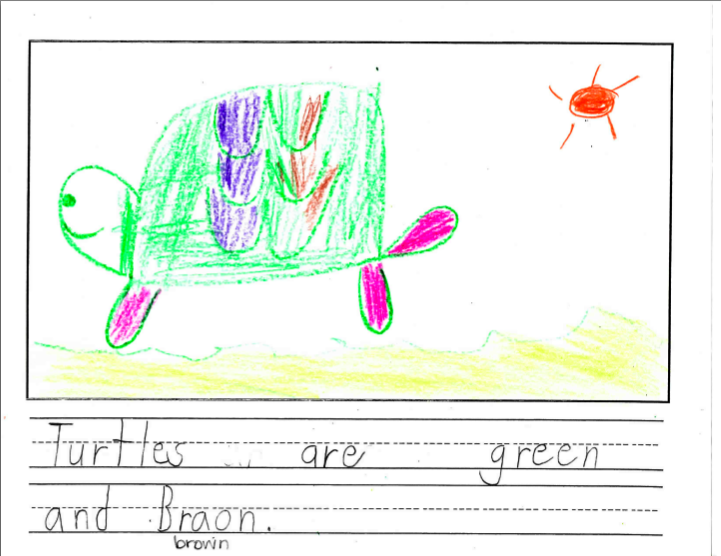 And what do you know...she's right! 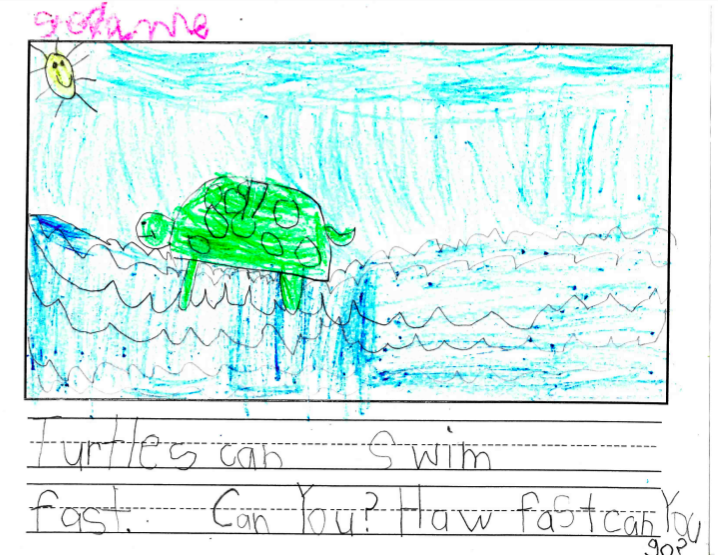 I also love how she added an interactive element to her writing: "How fast can you go?" ADORABLE! 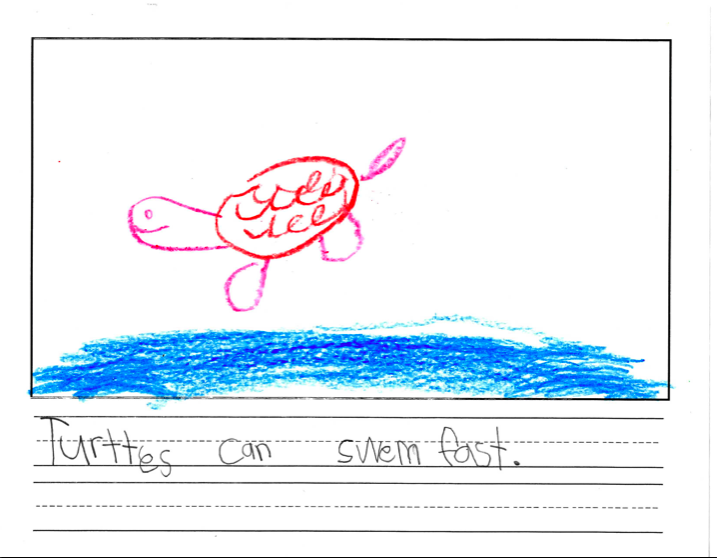 Turtles are slow and swim. 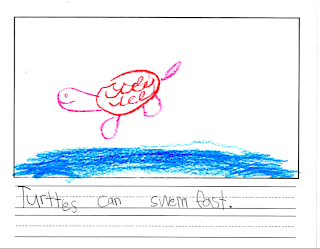 Turtles can swim fast. Can you? 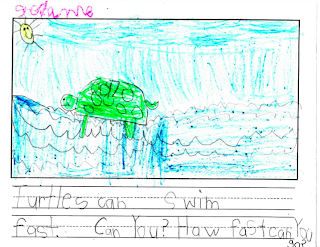 How fast can you go? 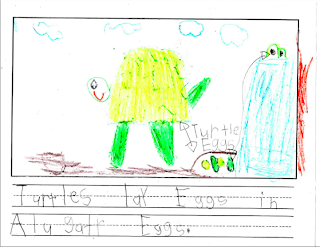 Turtles lay eggs in alligator eggs. 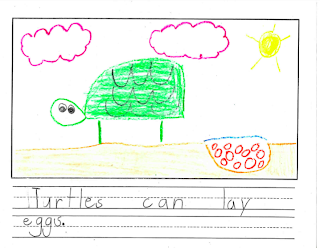 Early in the year, this ELL/Junior K student spoke little English and knew none of her letters or sounds. You can see most of her writing was copied from the Tree Map, but she also tried to sound out some of the words on her own. 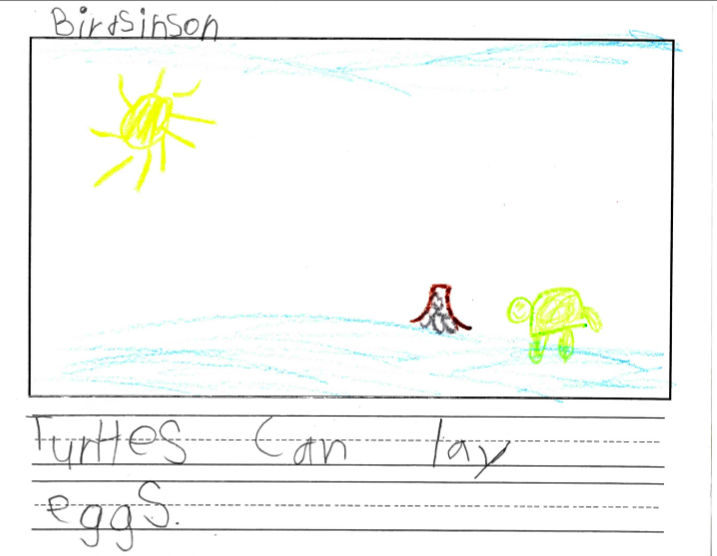 She also uses the appropriate conventions of print (capitalization, spacing, and punctuation). Yay! 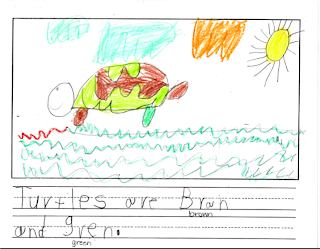 Turtles are green and brown. 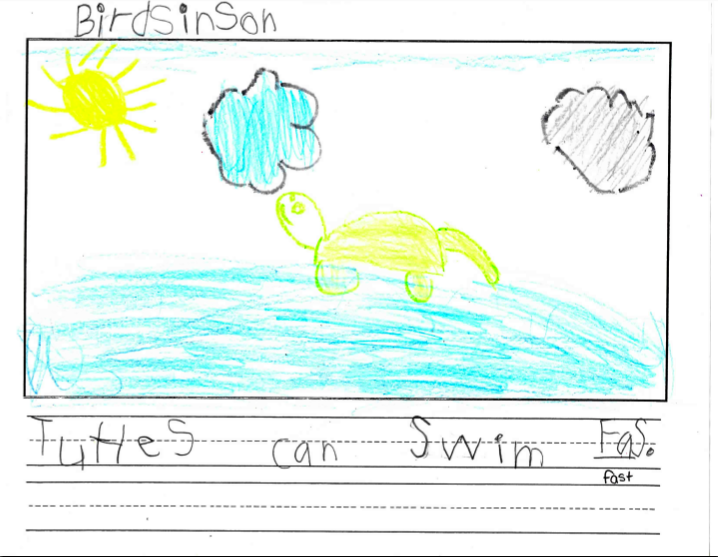 This ELL student was able to sound out unknown words independently. 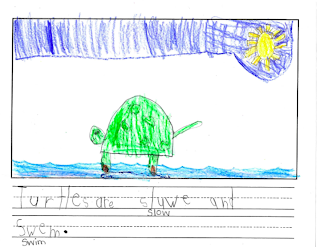 His illustrations also match his text nicely. 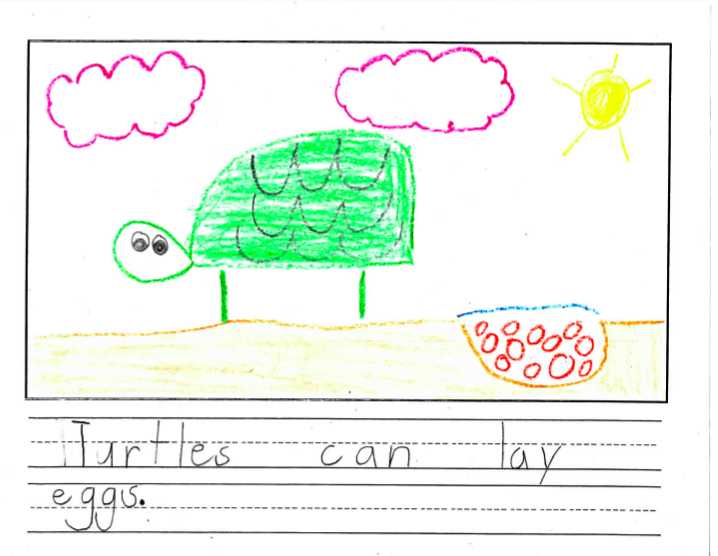 This ELL student also started the year speaking very little English and knowing no letters or sounds. 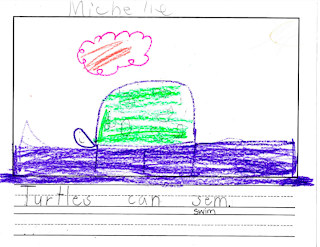 She copied some text, but also tried to sound out many of the words on her own. Wow! 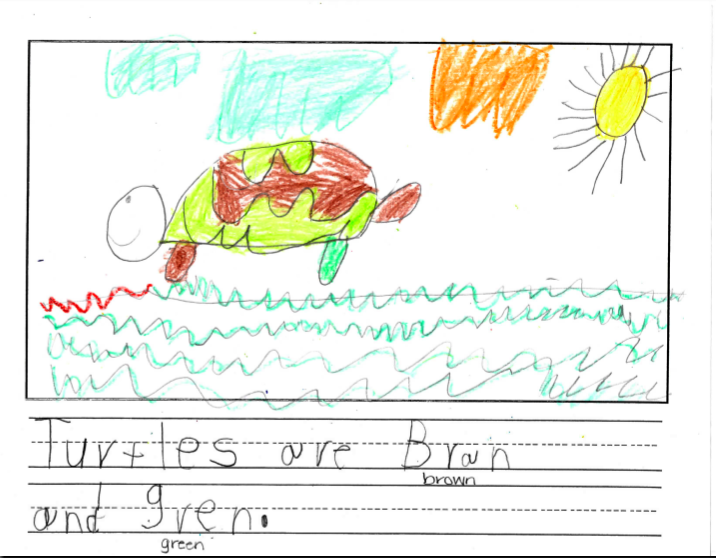 Turtles are brown and green. 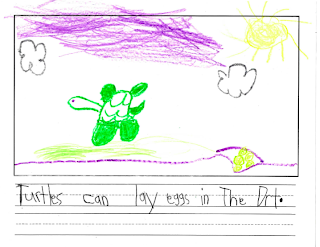 Turtles can lay eggs in the dirt. 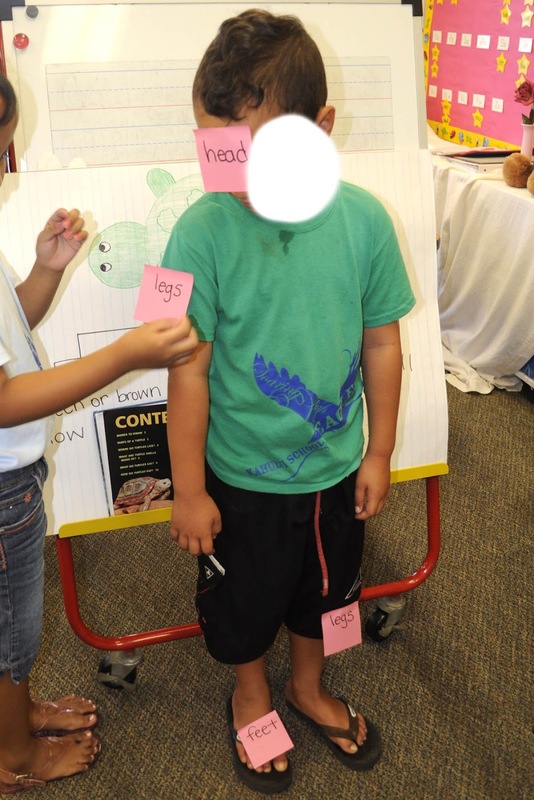 We used post-it notes to label the body parts of a turtle. 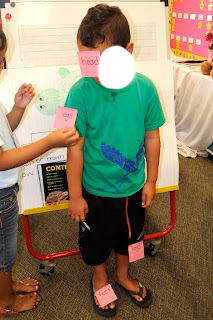 Students volunteered to be the "turtle" as we labeled the various parts. 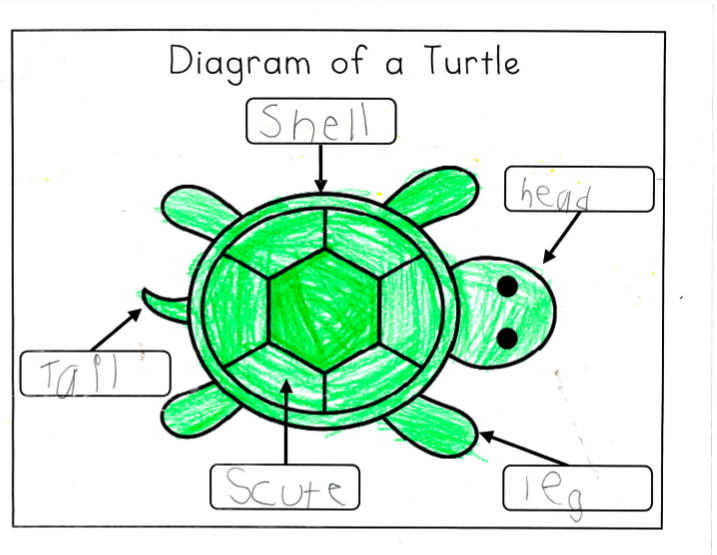 Then they completed their Turtle Diagrams to add to their turtle books. 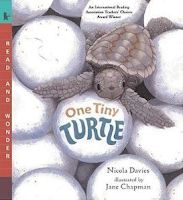 Then we made some cute turtle covers. 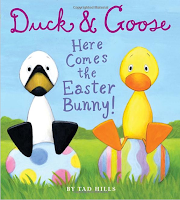 The idea for this adorable book cover came from my co-worker, Denise. She always has the cutest ideas! 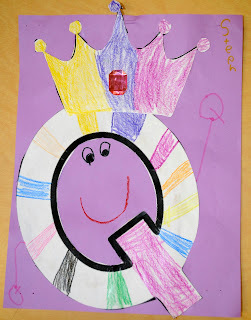 Finally, we published and shared our books! 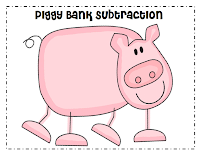 We began our subtraction unit by reading The Action of Subtraction. 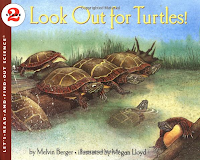 Although it was probably a little more appropriate for first grade, the kids enjoyed the rhyming text. 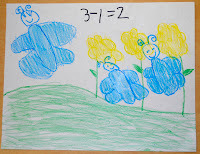 Then the children acted out subtraction problems as I told subtraction stories. 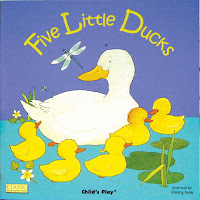 We sang Five Little Ducks and acted out the song with Duck Puppets. 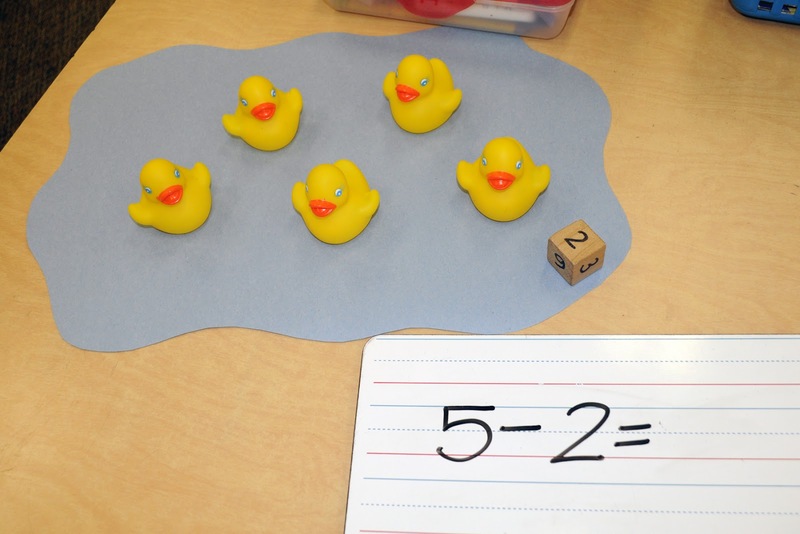 Then we used rubber ducks to model subtraction problems as a whole group. Finally, the children used counters and Work Mats to practice independently. 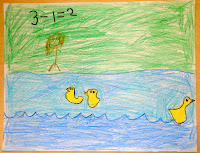 I added the rubber duck activity to one of our math tubs. 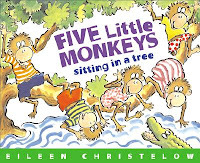 We sang and acted out the song Five Little Monkeys. 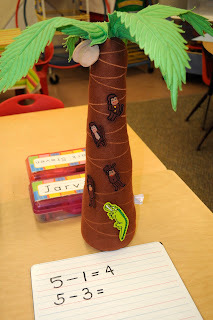 I modeled subtraction problems using my Chicka Chicka Tree and Monkey Props. Then the children used counters and Work Mats to model subtraction stories. 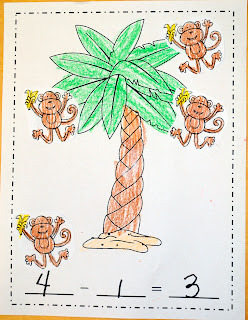 Finally, we made a Five Little Monkeys Class Book. 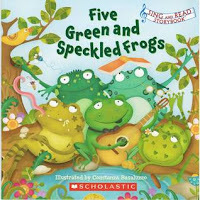 We sang and acted out the song Five Green & Speckled Frogs. Here are some Frog Props I made. Just laminate and stick magnets/velcro on back. We modeled subtraction problems using props. 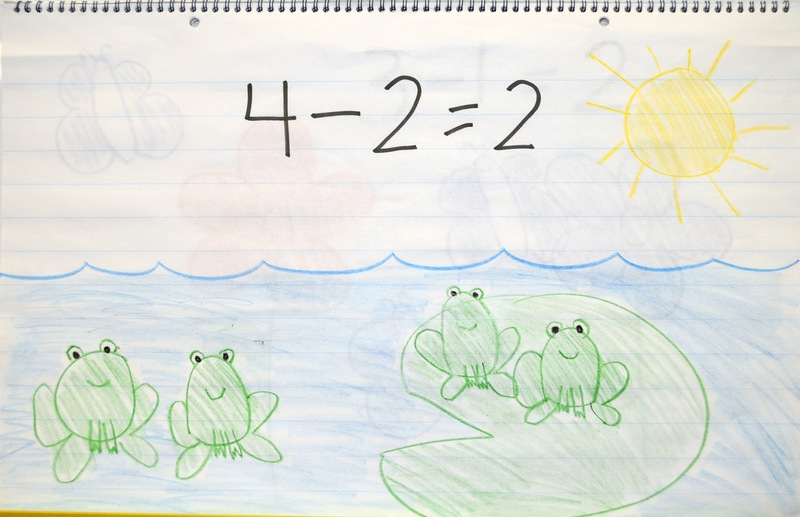 Then the children used frog counters and Work Mats to model problems independently. 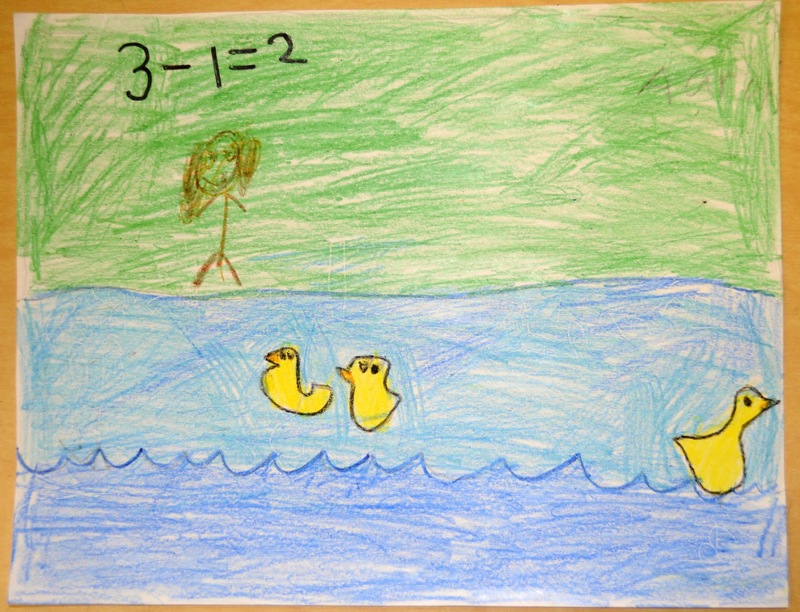 First I modeled some subtraction stories on chart paper. 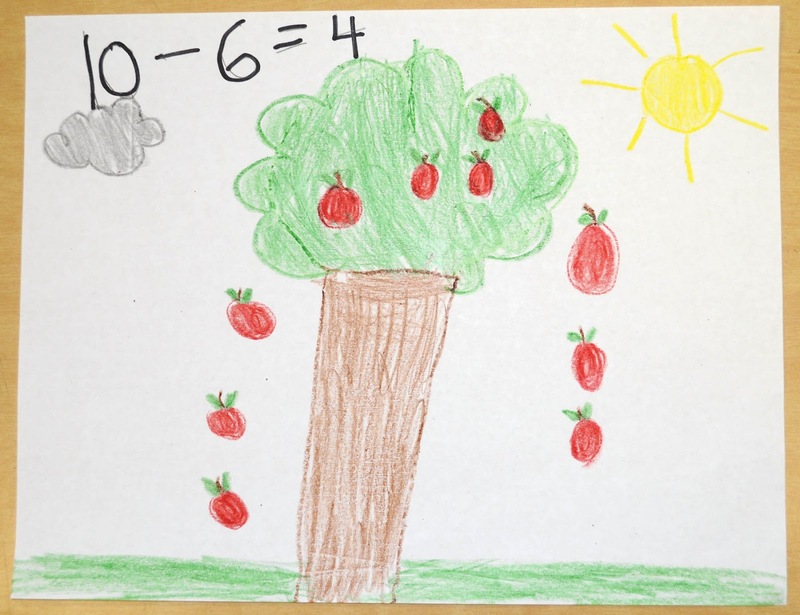 I pre-drew the pictures and had the children help me tell the stories and write the equations. 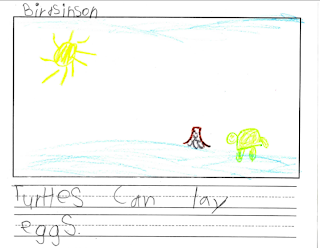 Then the children wrote their own stories. 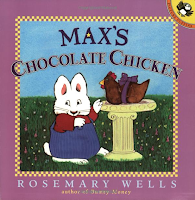 We read Who Took the Cookies? 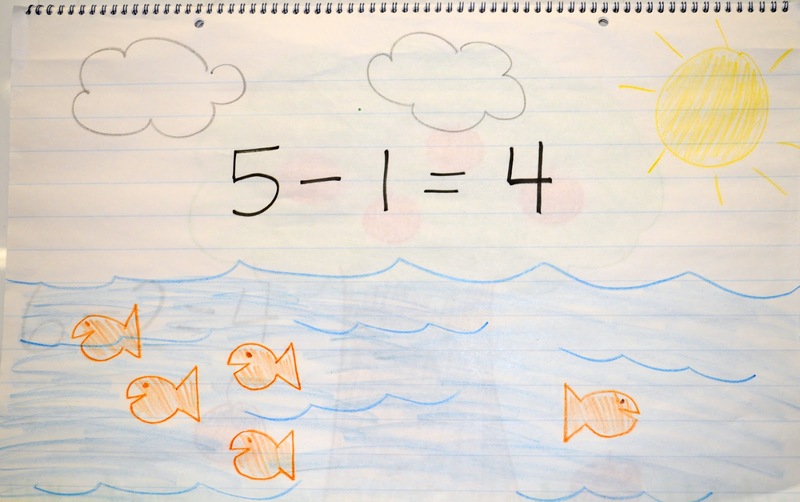 and acted out subtraction stories based on the song. I made a poster of a cookie jar and some paper cookies. 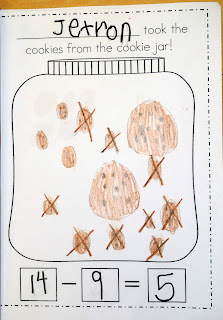 I told subtraction stories as the children took cookies from the jar. 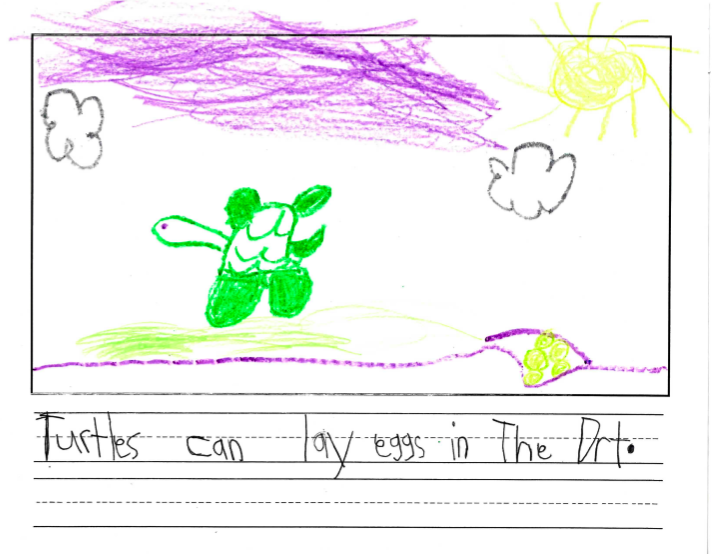 For example: "There were 6 cookies in the jar. John took 4 cookies. How many are left?" Then the children wrote and illustrated pages for our Who Took the Cookies Class Book. 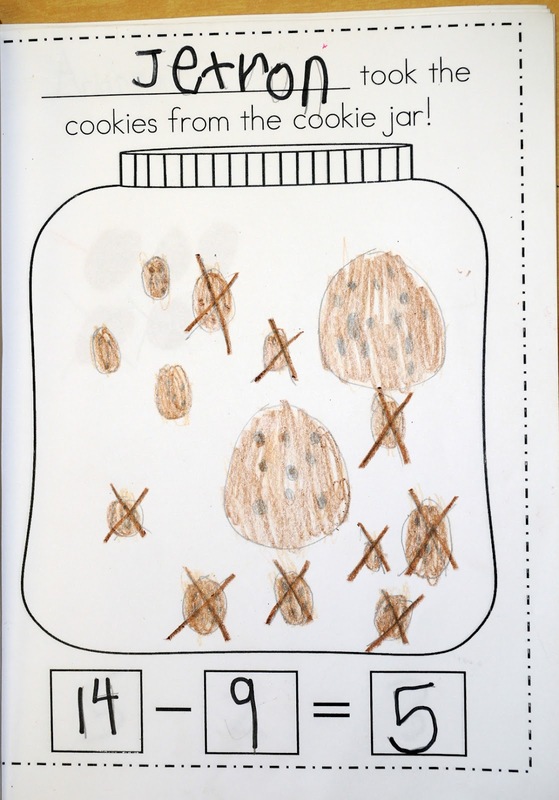 Another fun activity that we didn't get to do is use Cookie Crisp Cereal to model subtraction problems on a Cookie Jar Mat. 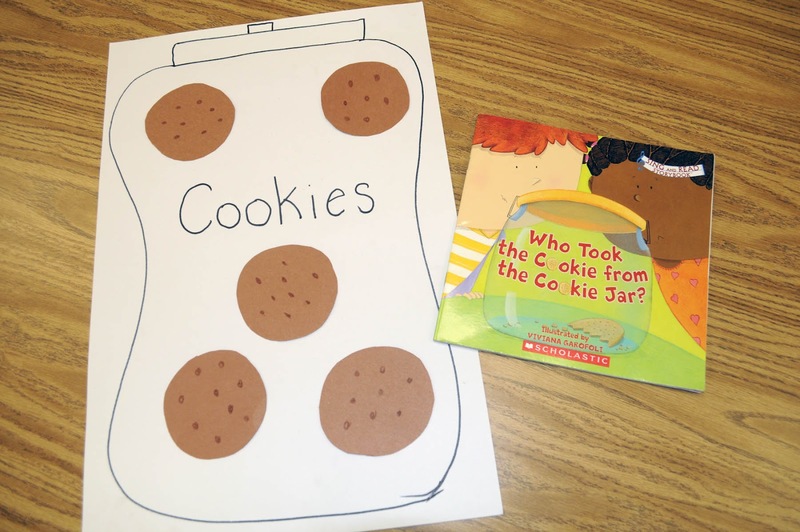 As you tell subtraction stories, the children eat the cookies! 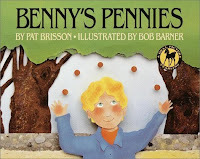 We read Benny's Pennies and modeled subtraction stories with pennies. 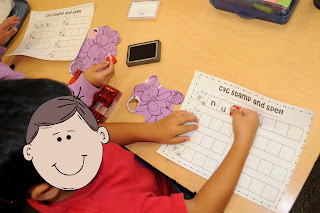 After I modeled on the board with magnetic pennies, each child used pennies and a Piggy Bank Mat to model subtraction. I called out subtraction stories using the children's names. 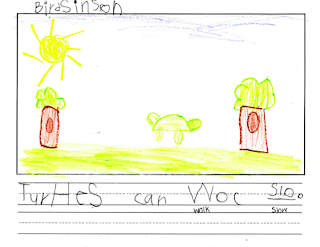 For example, "Nicole had 6 pennies. She spent 4 pennies on candy. How much does she have left?" 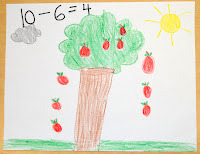 The children modeled the problems and wrote the equations on their white boards. We reviewed addition and subtraction with this fun game from Can Do Kinders. 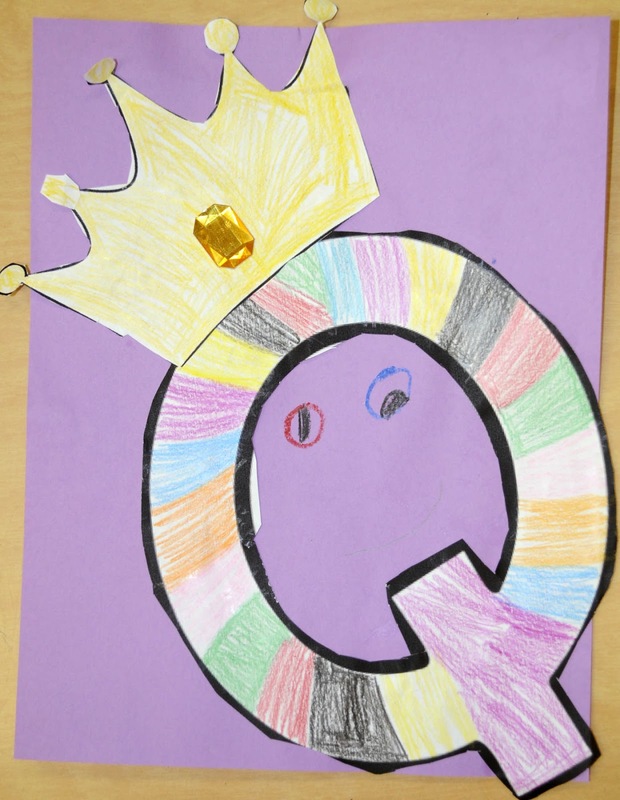 I had the children work in pairs and split one game board between them. 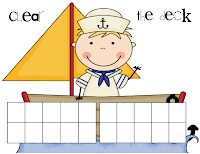 Each child started with ten cubes. They rolled +/- dice and numeral dice to determine how many cubes to add or subtract from their side. 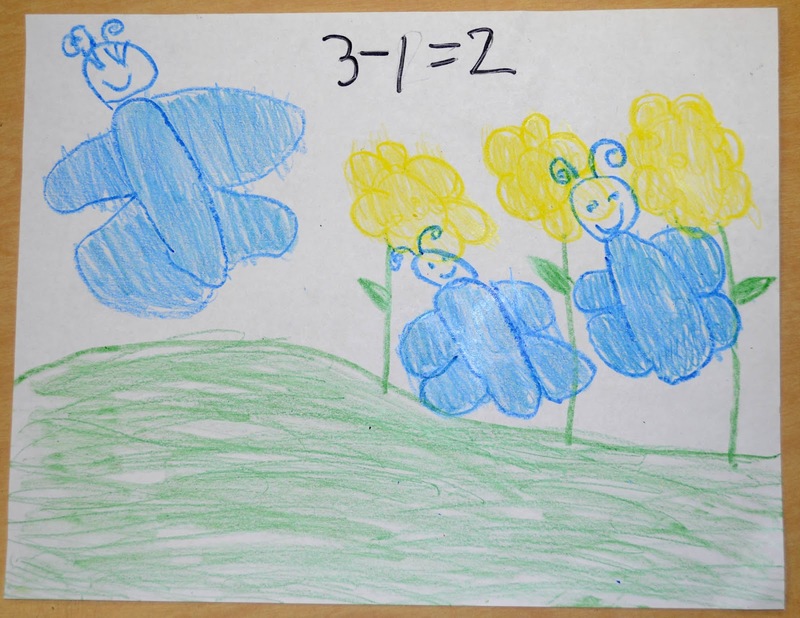 I also had them write each equation on their white boards for extra practice. The first to "clear their deck" wins! 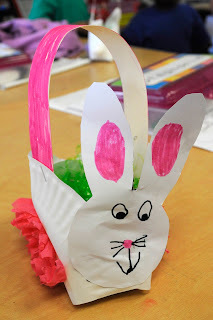 They had so much fun with this! Here's a quick little craft we did for the letter Q. We used this Letter Q Template. 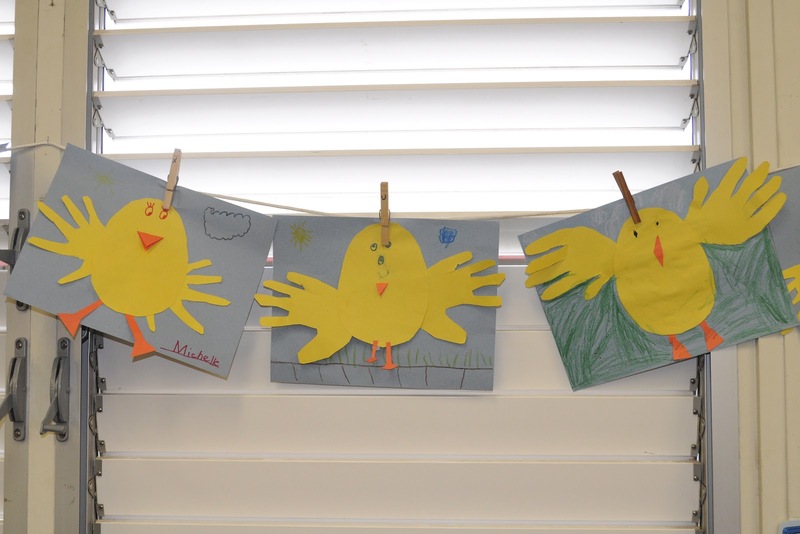 We had so much fun celebrating Easter this week! 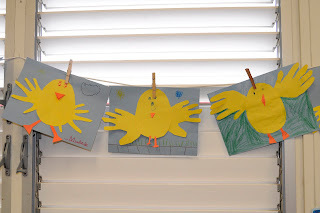 We made cute handprint baby chicks. 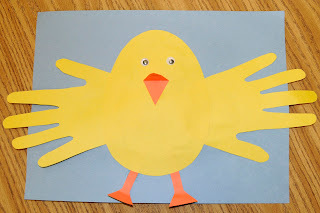 I love crafts where kids use their handprints because I don't have to trace anything and they always come out super cute. We made these adorable Easter Bunny baskets. This is an idea I stole from my co-workers. Best idea ever! 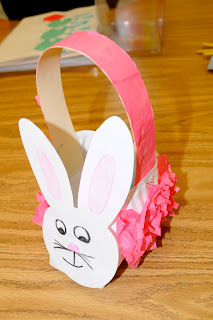 All you need is a paper plate, cardstock, tissue paper, and a cotton ball. Just cut four slits in the plate, fold it up, and staple it together. 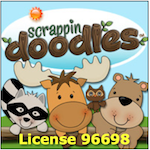 They are the perfect size and are very sturdy! While we were at lunch, the Easter Bunny snuck into our room and hid eggs all over the place! We went on an Easter egg hunt and filled our baskets with goodies! 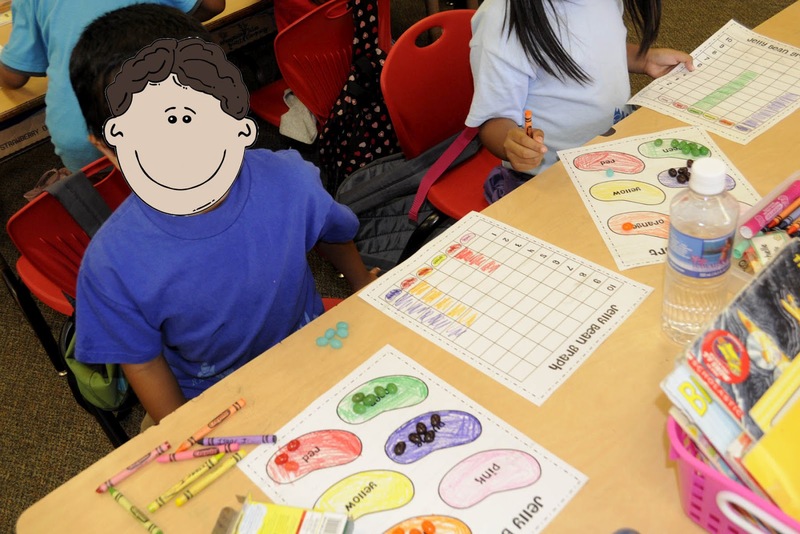 We sorted and graphed jelly beans. Then we got to eat them! 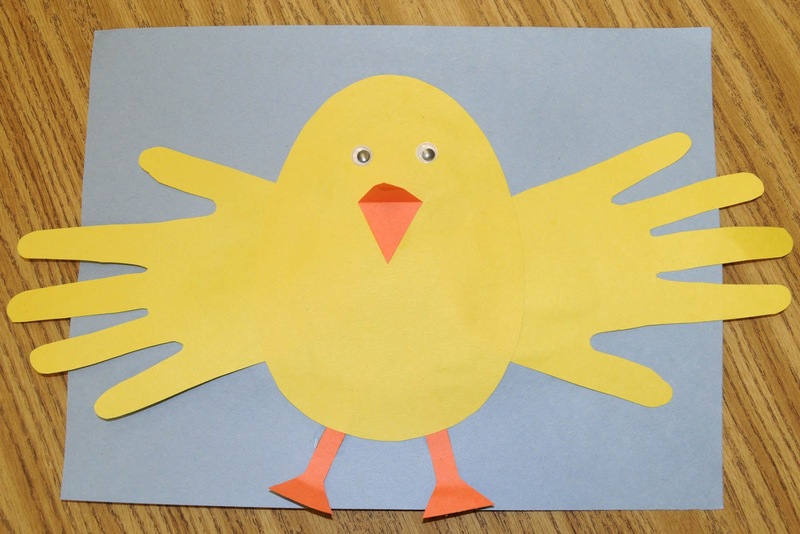 This activity is part of my April Math & Literacy Centers Pack on TpT. 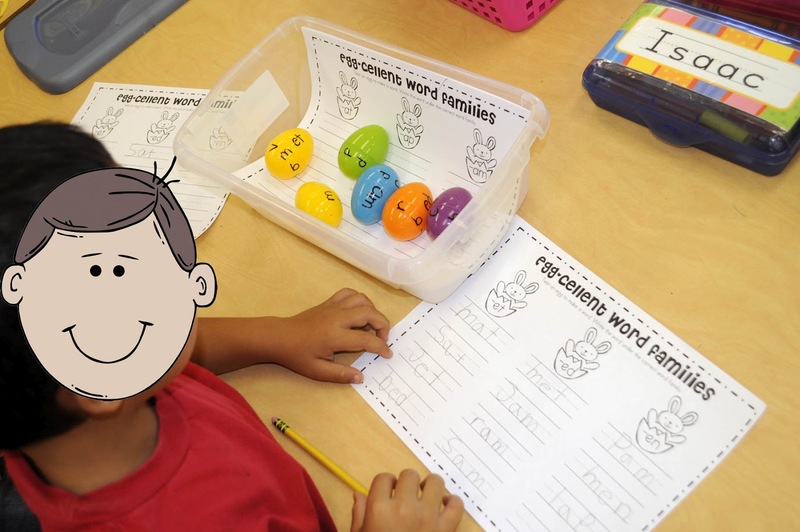 We had fun working on some of our Easter Literacy Centers. 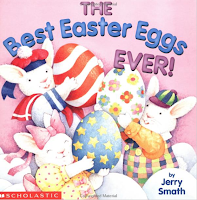 And as always, we read lots of Easter stories. 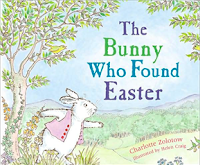 The Bunny Who Found Easter is my favorite. 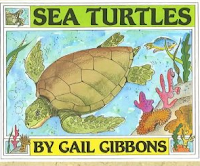 It's such a beautiful story. 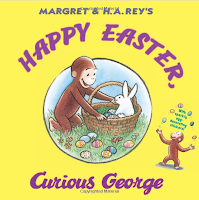 It's about a bunny who searches all over the place looking for Easter. 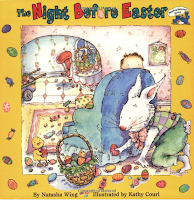 In the end, he realizes that Easter isn't a place to be found, but "a time when everything beautiful begins once again." Easter Math & Literacy Centers...and a FREEBIE!